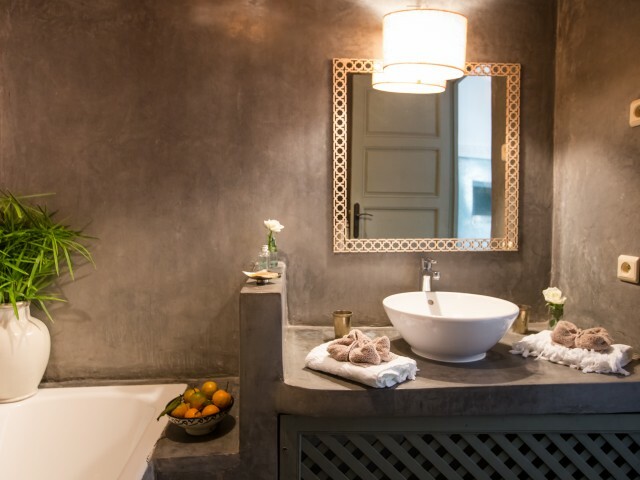 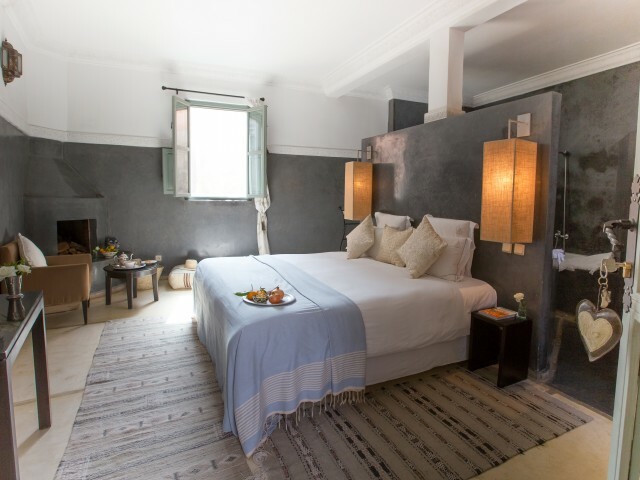 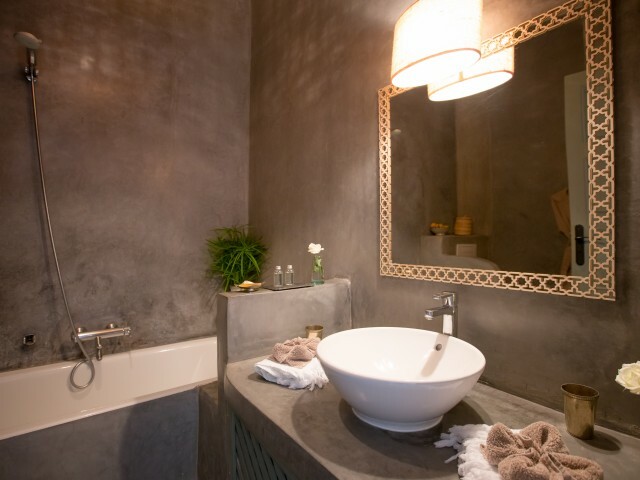 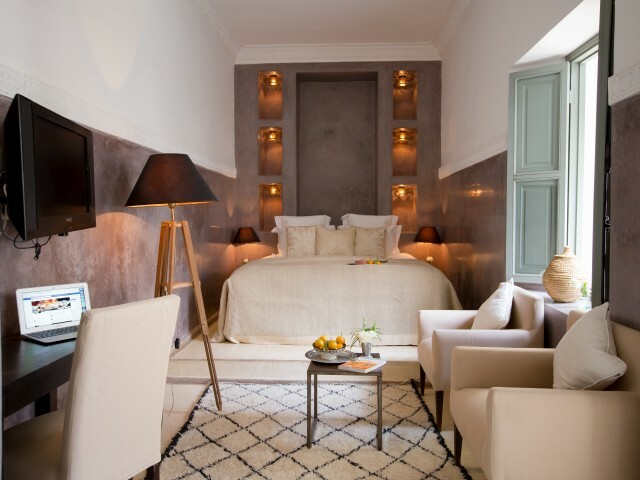 Located in the historic centre of the Medina, this sumptuous, luminous and airy Ryad combines the magic of the Orient and cotemporary design, a subtle blend of tradition and modernity. 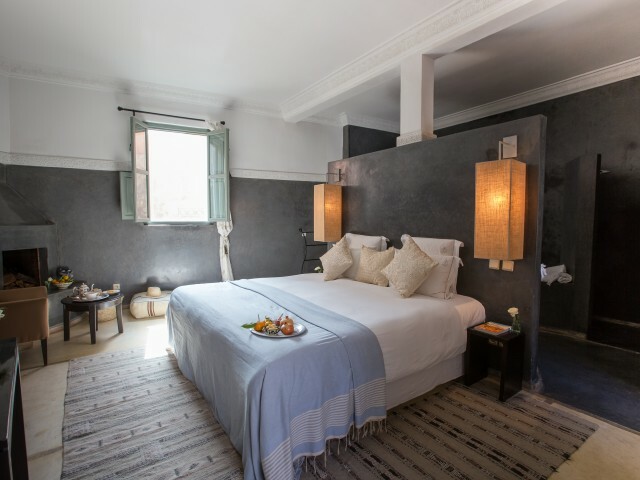 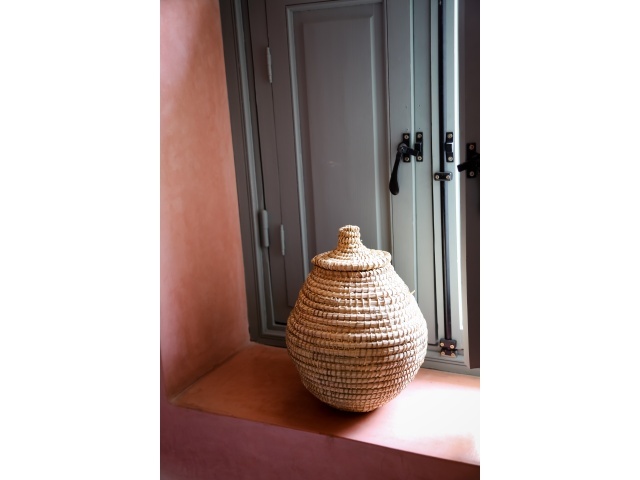 Set in a house full of history, Riad Olema & Spa, a luxury guesthouse, is an invitation to travel through time and to experience Marrakech's traditional lifestyle. 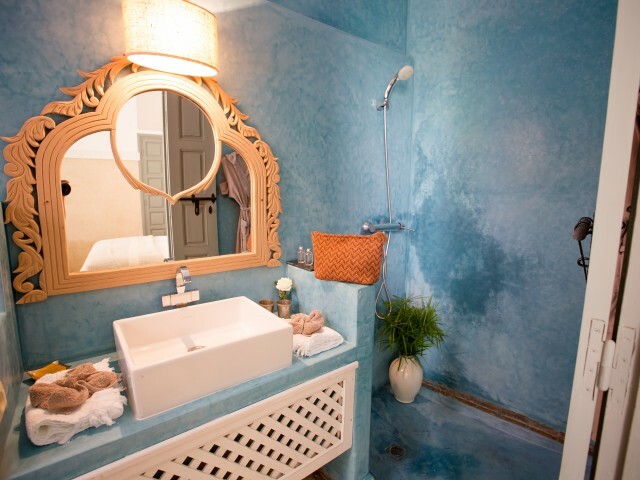 This guest house has been renovated in 2008 in a pure and authentic style. 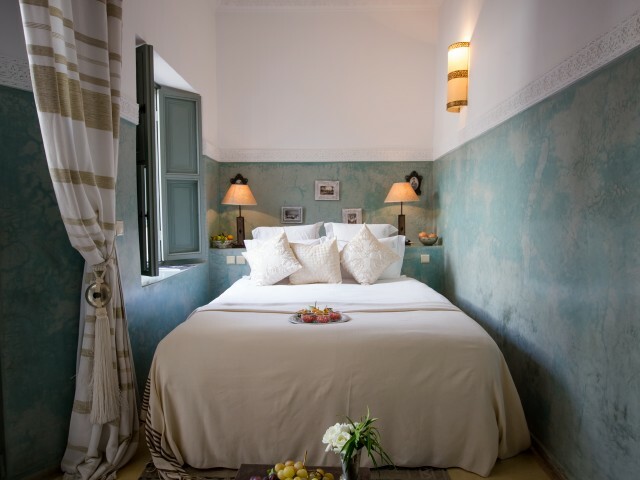 The riad is centred around two inner courtyards, the traditional "patios" of Moroccan houses, a swimming pool and several lounges, of which two with fireplaces. 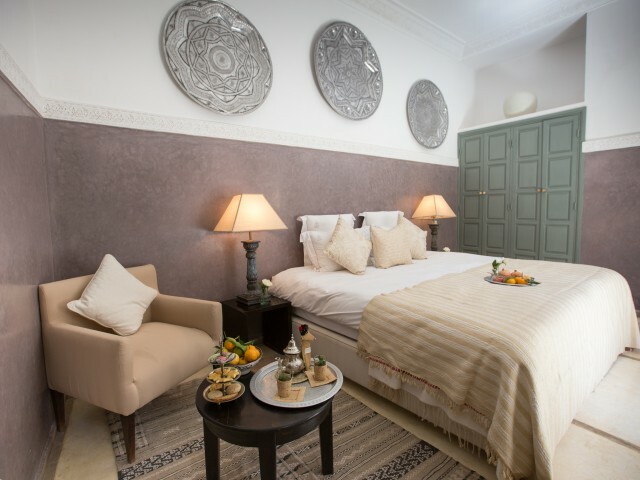 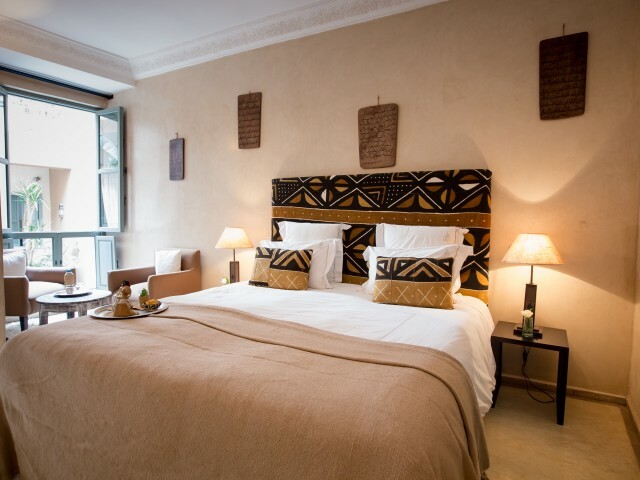 Between guest house and boutique hotel, between Orient and Occident, this exclusive Ryad offers refined and luxury suites and rooms as well as an outstanding service. 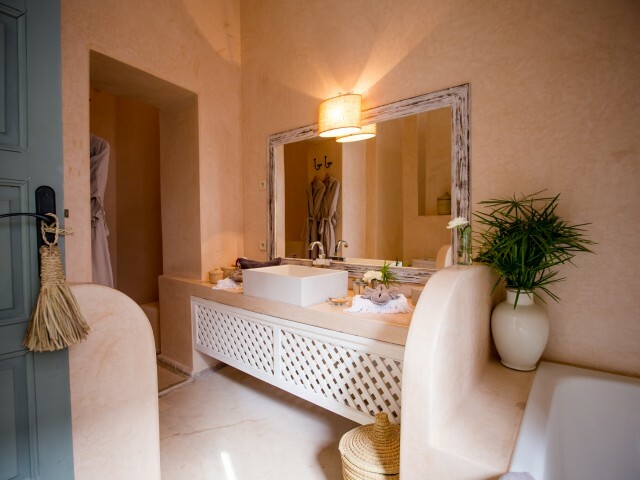 The Spa ô - Riad Olema & Spa welcomes you into his Spa for an unforgettable beauty experience to sample the benefits of ancestral rituals and oriental Spa therapies. 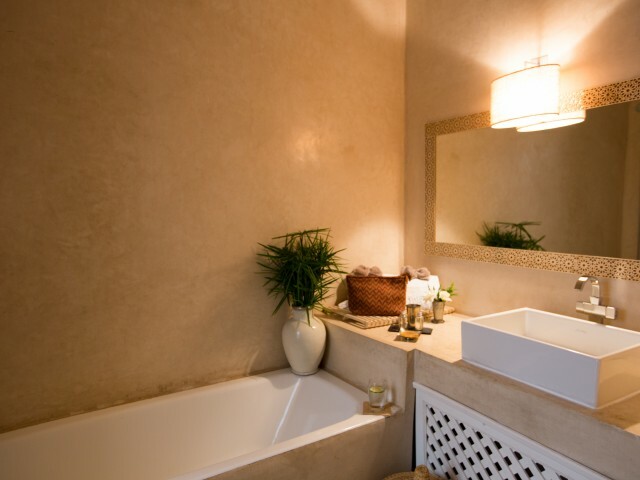 The Spa features two treatment and massage rooms, a traditional hammam as well as a Jacuzzi and solarium sheltered from view. 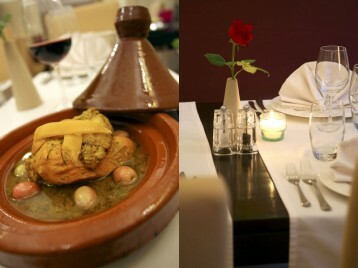 Discover the subtle flavours of the Morrocan colourful and spicy cuisine as well as a large selection of delicious pastries. 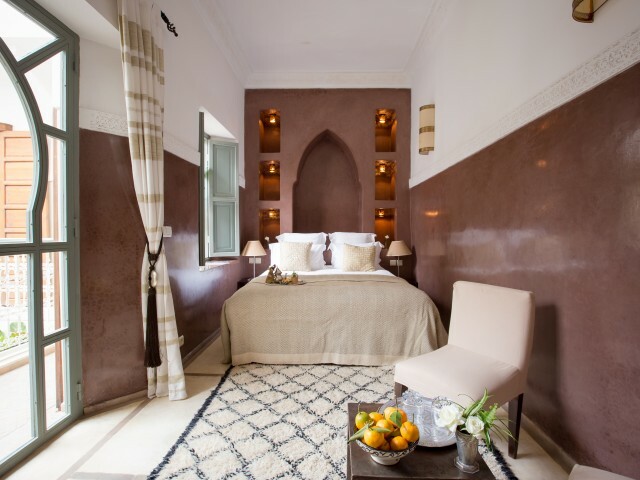 Your travel through the sensual pleasures of the city would not be complete without tasting the flavours of Moroccan cuisine. 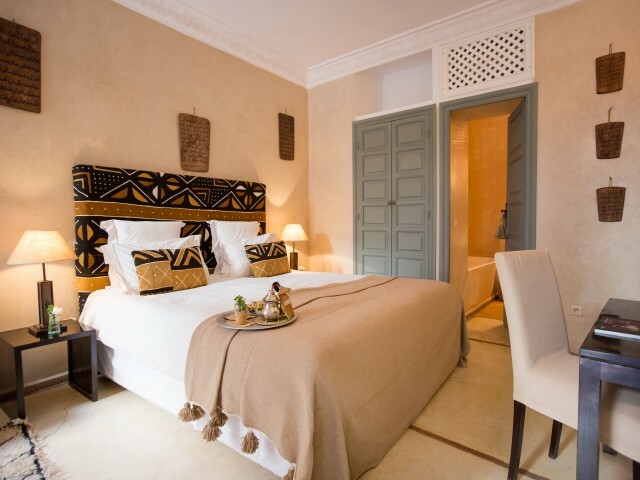 Our talented chef performs a creative and traditional cuisine, adapted to different times of the day and seasons. 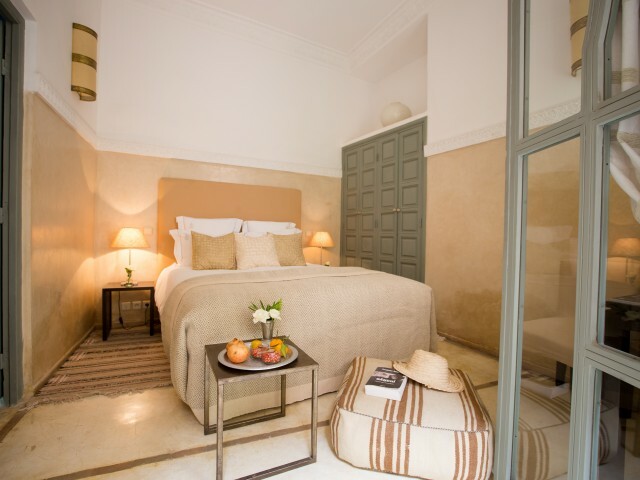 You will be able to appreciate the delicate tastes of tajines, couscous, pastillas, but also a daily lunch barbecue and Mediterranean cuisine to vary the pleasures. 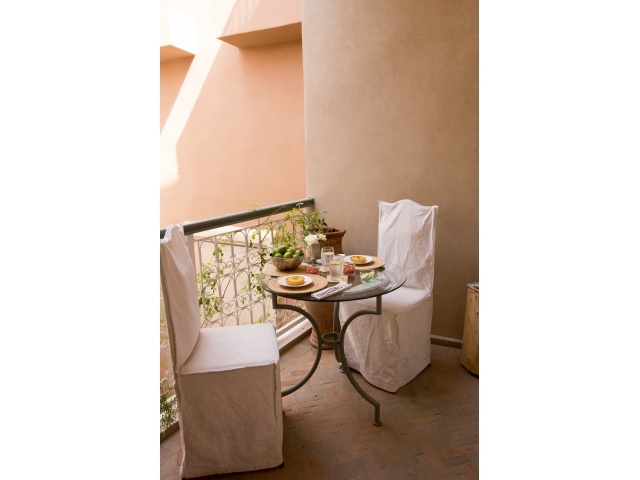 Breakfast, lunch, snack and dinner can be taken either on the terrace or in the fountain patio or in the dining room depending on the season and your wishes. 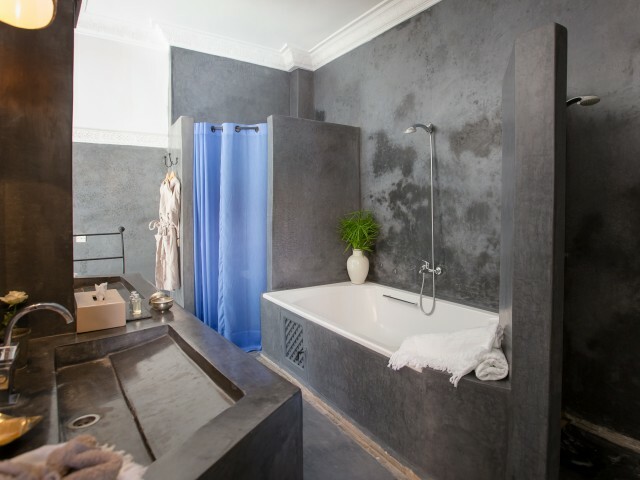 The Spa features two treatment and massage rooms, a traditional hammam as well as a jacuzzi and solarium sheltered from view. 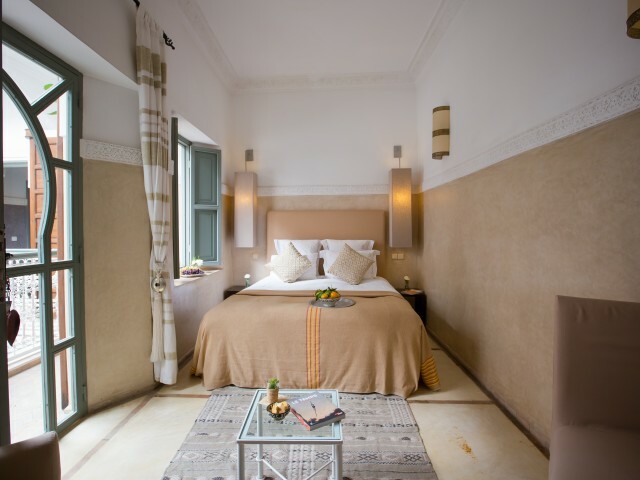 Riad Olema & Spa welcomes you into his Spa for an unforgettable beauty experience and enjoy the benefits of ancestral rituals and oriental Spa therapies. 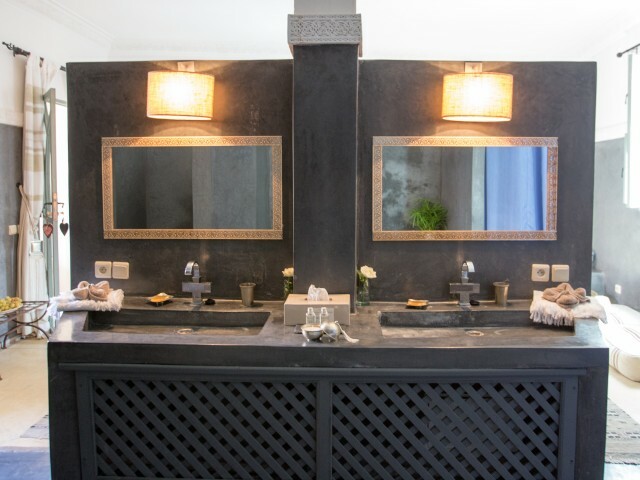 Start with the hammam ritual, which relaxes muscles before any treatment and the let you tempted by an energetic black soap scrub and by a carefully chosen massage. 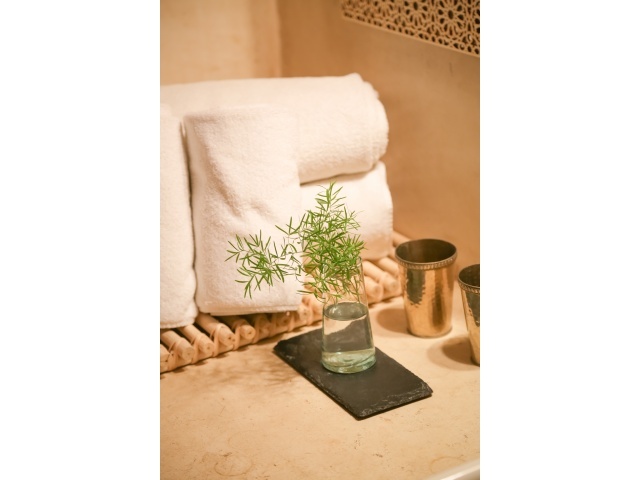 Massages are dispensed by a team of professional beauty staff in the Spa or in the privacy of your room (with a folding table massage) enabling guests to enjoy a full range of spa therapies whenever they want. 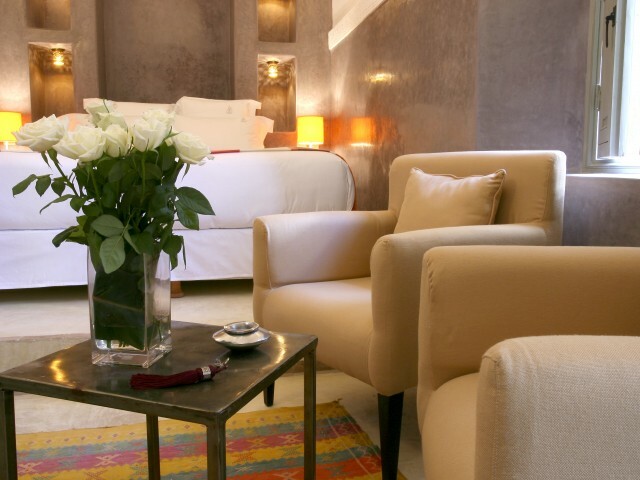 We offer a range of tailor-made services to ease and magnify your stay. 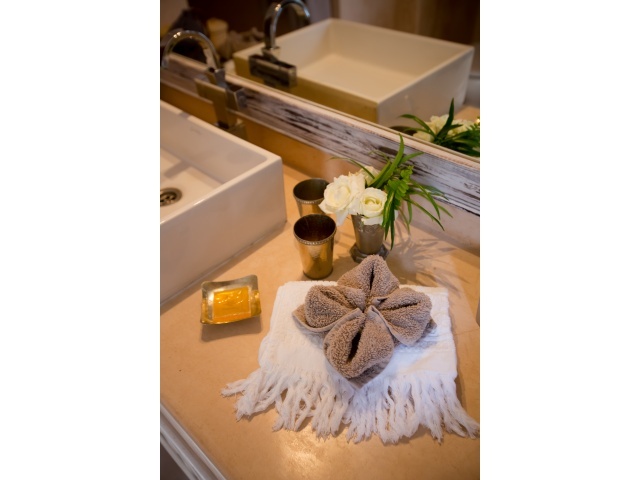 A selection is presented below. 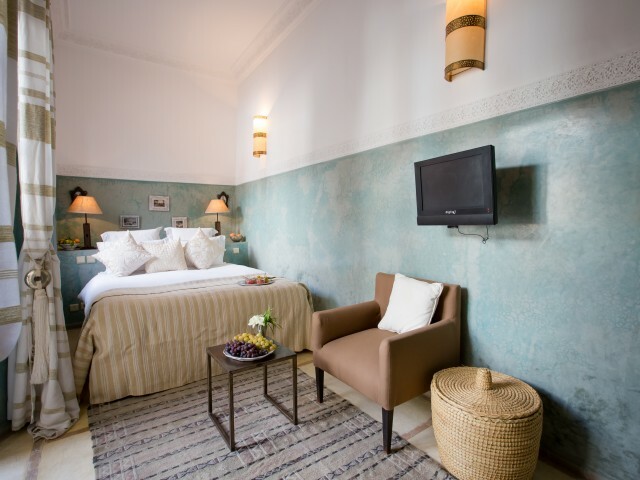 For more details do not hesitate to visit our website.